Hotel parking for registered guests, tram service to/from hotel and restaurant. Parking also available near the restaurant in Racquet Park. Throughout the years, Verandah has established itself as one of Amelia Island's finest restaurants. Enjoy fresh, traditional seafood along with an extensive yet approachable wine list in a relaxing setting. Delivering the flavors of the local Atlantic Ocean and neighboring farmers directly to your plate, our chefs' dedication to the finest local ingredients guarantees that what’s fresh is what’s for dinner. Raspberry Infused Vodka, Simple Syrup, Lemon Juice and a splash of Soda. 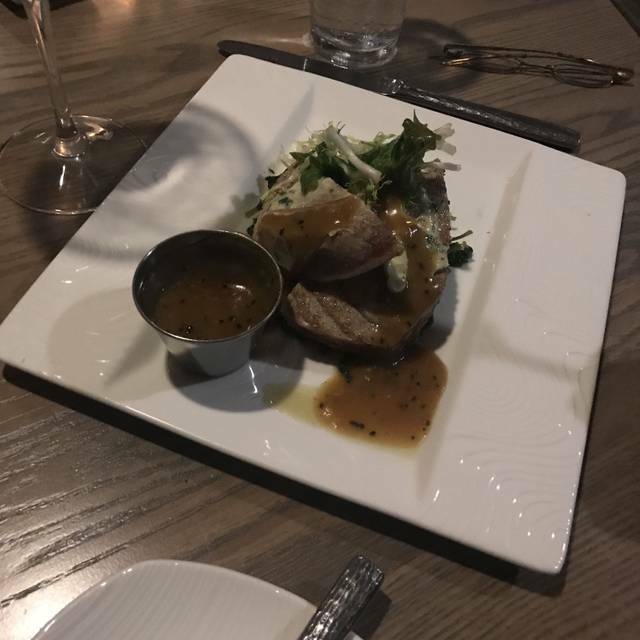 We ate at Verandah twice this past week-if you're staying at the Omni it really is the best adult dinner option. The first night it was just my husband and I and the service was great. I had a delicious grilled swordfish and my husband enjoyed his red snapper. The second visit was with my daughter and son-in-law. We couldn't get a reservation as early as we had hoped so we spent about 45 minutes having fun at the bar with cocktails and shrimp appetizers. We were happy with the cocktail hour and dinner but I did feel that if we had been there for a third visit, there was nothing more on the menu that I would have liked to order. Overall, that is my criticism of all the Omni property restaurants-limited menus-especially healthy and vegetarian options. The food was not great for the price. The oyster in the oyster soup smelled fishy. The swordfish was very fresh but had no seasoning and I didn't care for the romesco sauce. The shrimp and grits and shrimp cocktail appretizers were great though. I would say average for the prices. Wonderful dinner with some friends. Mike was our server and had the perfect amount of attention for a relaxing evening. The food was delicious and I can't wait to go back. We ate there twice in one week. Thanks for hosting a great dinner. While we had great service, we found the restaurant quite noisy. The staff were very accommodating and went out of their way to accommodate a wheelchair. The food was good but not special enough for their prices. The main course swordfish was very small for $30. The taste all of the desserts was delicious. The bottle of wine was three times what it is a wine store. We would recommend it due to its convenience on the Plantation with the caveats listed. Dinner at Verandah was enjoyable and the service was quite good. The restaurant is very comfortable. However, we did not feel that the meal was special enough to warrant the prices, which are high. We wanted to give Verandah another try but this will be our last visit. The food was ok good but considering the way to high noise level and out of line prices for what you get, I suggest trying another restaurant. 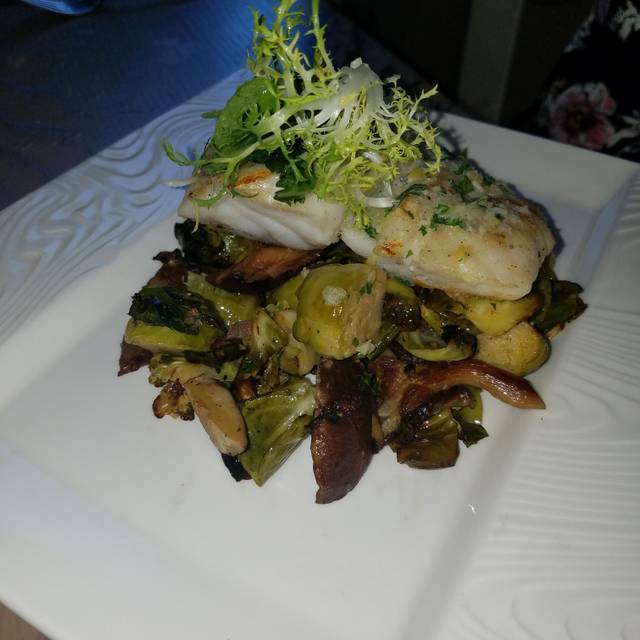 We were on vacation in Amelia Island and found this lovely spot online with great reviews, and it did not disappoint! 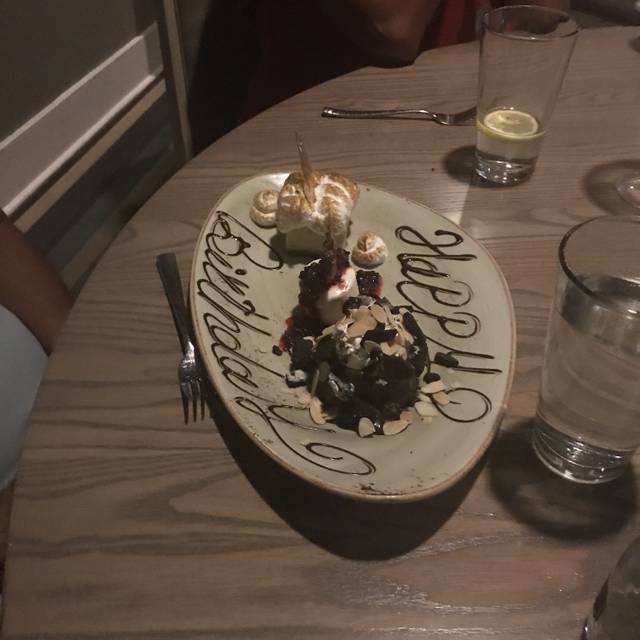 We wanted a special spot to celebrate our daughter’s birthday and last night altogether on the Island. 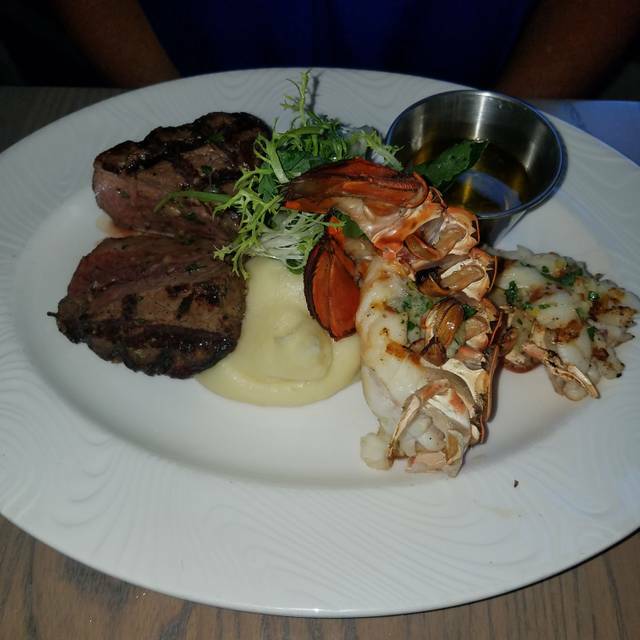 Excellent oysters, seafood, steaks and desserts! And the service was superb. Highly recommend. Excellent service, catered to dietary preferences. Amazing food! This was our 6th time at Verandah and was our 1 year wedding anniversary. 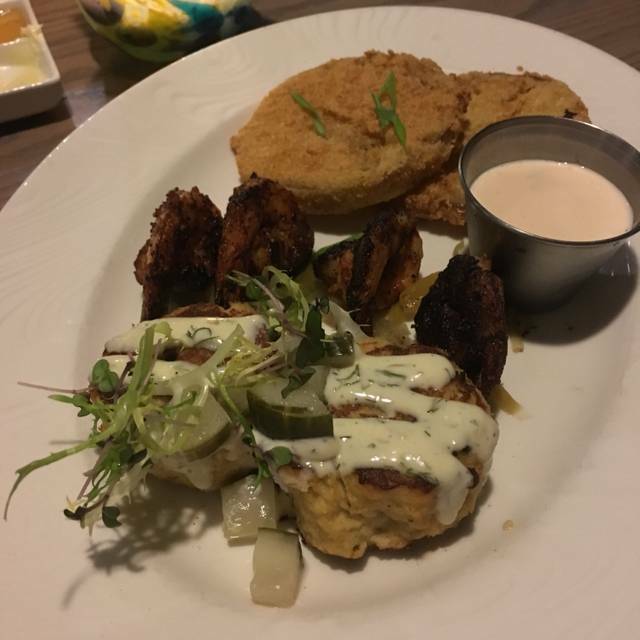 We enjoyed the bbq shrimp, fried green tomatoes for appetizers. The caesar salad was good ( I prefer mine to be chopped and tossed already but the dressing was good, could have used a little more) I got the filet and crabcake, my wife got the shrimp cavioteli???sp. Allison was our server and I asked her to surprise my wife with her other diamond wedding band and she did with the perfect presentation on a raspberry on top of the cheesecake (which was delicious). Thank you for making a special night one we wont forget. The service, food, and restaurant are wonderful. We will go back again. Given its geographical location Verandah ranks amongst the top . Our fish dishes were excellent but the portions pretty small and more fitting for a tasting menu. Regrettably in designing the restaurant no attention was paid to addressing noise levels. Great Place and great food. Bob, the manager, made us feel so welcome and MaryAnn was an outstanding server! Was our first time there and they made it very special, will def be back with family and friends. 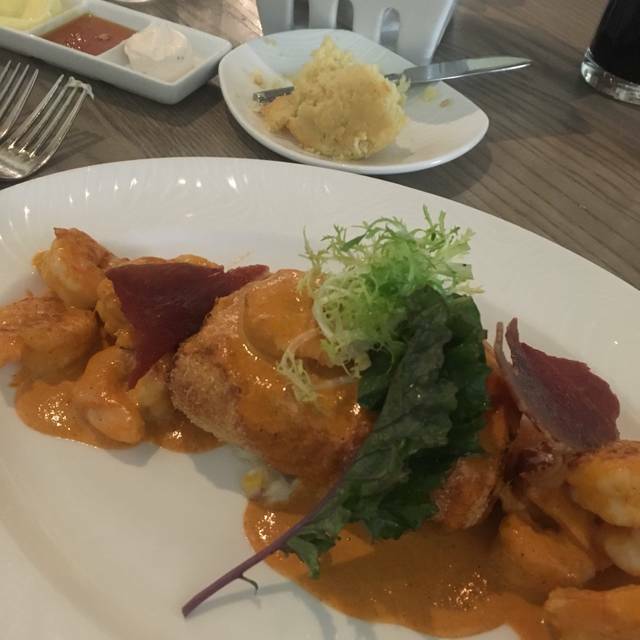 A wonderful selection of seafood dishes and locally sourced ingredients. We've eaten here annually over the last few years, but this was likely the last time for now. The prices, especially on wine, have gotten so high. Especially compared to other local restaurants. We spent almost 3x as much on this dinner as another local restaurant 2 days prior for similar ambiance and food that wasn't as good. The server was really a bit much to take for our large group - couldn't really read our group mood very well and several in our party were rather annoyed at their interactions with him. Mediocre. Overpriced and not good seafood. Yes, we often do though we all miss the frozen popcorn. The split pea soup is only OK and does not showcase the restaurant as it deserves as an amuse bouche. Shrimp cavatelle was wonderful..... I asked for minimal pasta and they did that. 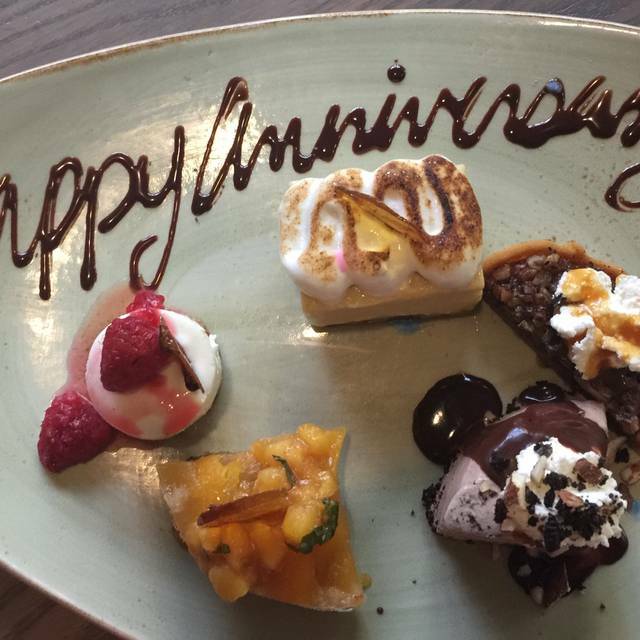 We've never had a bad experience at Verandah in three decades of dining there. It is a great place to find good seafood. This time my wife ordered salmon, I ordered snapper and my friends ordered swordfish. We chose wisely and enjoyed our entrees. For desert, my wife and I split a mudpie; very nice but not too big for us. My only complaint is Verandah is a little pricey. In spite of that reservation, I will return. We were spoiled. We had eaten at Salt, and this was okay, but not up to Salt, Coast or Horizons. Service was exceptional. They went out of their way to make sure we had a great experience! Revisited the Verandah after a hiatus. My party and I thoroughly enjoyed the dining experience at this resort restaurant. The menu was diverse and the food excellent. The service was also very good - well staffed & experienced service team. The wine list, although not extensive, was fine. Overall a very nice dining experience. Food was excellent and lovely restaurant. Service was great and the staff were friendly and helpful with suggestions for wine and entrees. The menu is limited. The food was good,but not spectacular. The meal was overpriced. I had a $24.00 appetizer. The side of grits was $9.00 and flat. I looked for a salt shaker to give them some flavor. I had a small glass of wine. With a 20% tip the bill was $54.00. I would tell a friend to look for a a restaurant with outstanding seafood - and to take a pass on the Verandah. Certainly did not live up to what I have come to expect from Omni. From the dirty blouse of the waitress to the lack of seasoning, just not what you expect. We were very disappointed with the food. This should not be considered fine dining. The price point is deceiving because you’re expecting high quality dishes and if you know good food, you know that most of it is not even made from scratch. 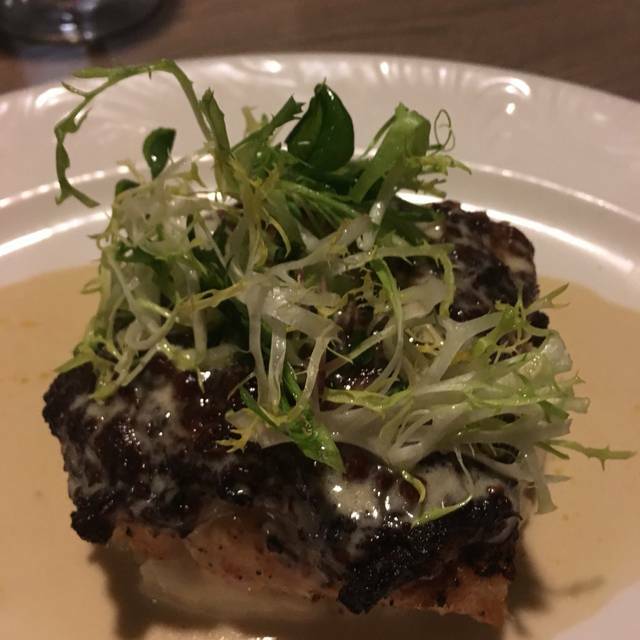 The grouper was excellent! Nice ambiance. Service and ambience was pleasant and efficient and personable. Red Snapper entree was bland and a small portion. Coffee was not terrific!! Coffee needs to be terrific. We did enjoy 😊 ourselves. We were looking forward to having dinner at the Verandah as it was highly recommended. The food was great although we had to wait for over an 1-1/2 hours for our food - I think our order was forgotten. The restaurant was not that busy - we came in at 5:30 and left around 8 pm. We did receive a nice tray of complementary desserts but not really what I wanted. Would have preferred a discount or at least an option. There was a noisy table of adults/children - not the restaurant’s fault just little irritating. Other than waiting for 2 hours for dinner, it was nice place and the food was really good. Oysters were ridiculously small. Oyster stew was disappointing. It's been better in the past. Quality has deteriorated. Food ordinary, not great, not special. Waiter never asked if we wanted another wine, or second cup. Overpriced. Food was good. Service was excellent. Food was not great service was fair decor was nice. Outstanding dinner and wonderful service! Everyone in our party of 8 left smiling and full! Incredible! 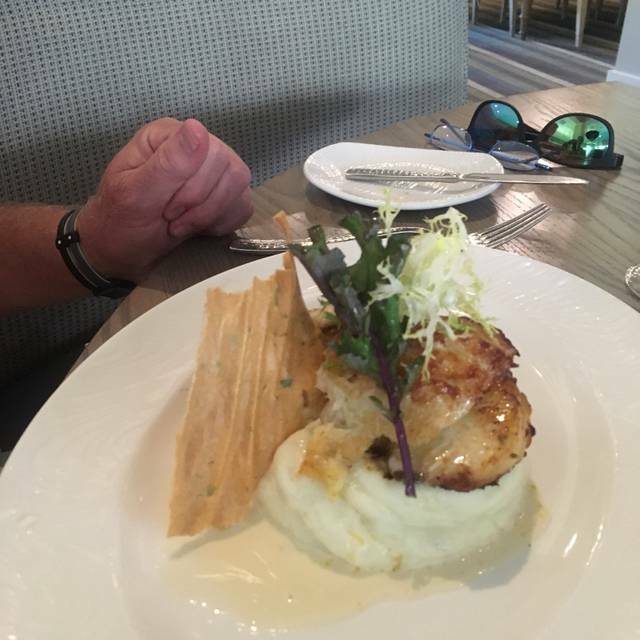 A must for a special night out on Amelia Island, the experience was one to remember and the food/drinks were some of the best we’ve ever had.